Technology conference "will showcase Wales' strengths"
Bidders competed for the purchase after the detached house in Ebbw Vale was listed for just £1. Police say cybercrime is an increasingly common problem for businesses and they want more businesses to know how to protect themselves. Wales Economy Minister, Ken Skates, said the Welsh Government had given Dawnus a £3.5 million loan to help with cashflow problems. The news is a "huge blow" to the North Wales economy according to Unite union. Workers of the multi-million pound development on the Kinsgway in Swansea were called to a meeting on Thursday morning. 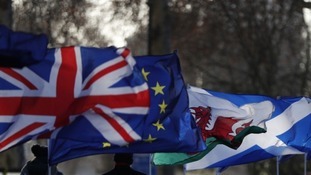 The Economy Minister, Ken Skates, has announced the funding to help Welsh SMEs face the challenges and uncertainties around Brexit. The large 11-acre site includes 705 free car spaces and links through to the Newport Retail Park and Tesco Extra on the East of Newport. An estimated £285,000 worth of damage was caused by dogs attacking sheep and other farm animals across Wales in 2018. In Wales, there are 150 companies in the automotive supply chain and the decision could impact several of those firms. Airbus said the decision was made in light of Emirates Airlines decision to reduce their most recent order by 39 A380 aircraft.